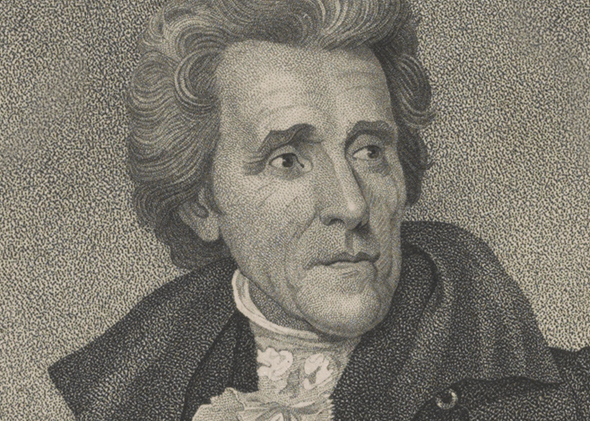 In 1836 President Andrew Jackson vetoed the renewal of the charter of the Second Bank of the United States to the ire of many of the Whig Party. In 1832 Henry Clay and Daniel Webster tried to renew the banks 20 year charter early. Jackson forestalled their plans and called to remove all of federal deposits from the bank. Nicholas Biddle then president of the bank had called in notes for specie from state banks which had to foreclose on mortgages and call in their debts. Next Biddle decided to raise interest rates and deliberately induce a recession. A mild financial panic ensued from late 1833 to mid-1834. This contraction of credit, Biddle believed, might create a backlash against Jackson and force the president to relent and redeposit government funds in the Bank, perhaps even renewing the charter. But Biddle’s move backfired: in the end, it helped to support Jackson’s claim that the Bank had been created to serve the interests of the wealthy, not to meet the nation’s financial needs. Meanwhile, Biddle and other Bank supporters attempted to renew the Bank’s charter though the Congress on numerous occasions. All their attempts failed under the threat of a Jackson presidential veto. In 1836 Jackson let the banks charter expire. Over 70% of the stocks of the bank were in the hands of bankers in England. Combined with the prosperity of America and fears that specie was leaving England in droves and Jackson’s decision the Bank of England refused to accept any notes from America and called in their loans to be paid for in specie Hard currency in gold or silver). This was after they extended large lines of credit to American borrowers. Not only did these borrowers have to scramble to pay their debts, but they had to pay them back with devalued currency. This led to the 1837 Panic. The Second Bank of the United States would continue as a state bank until 1841. Then Henry Clay and Daniel Webster would bring two candidates from their Whig Party through the doors of the White House. Both presidents they thought they had exhorted enough control over to create the Third Bank of the United States. William Harrison was the first to be elected. Within the first week he banned Henry Clay from the White House, refused Daniel Webster’s inaugural address he had written, and opposed the creation of the Third Bank of the United States. He would die a month into office. Zachary Taylor would fair little better. After he fought Webster in the Senate and refused to charter the Fiscal Bank (The Third Bank of the United States under a new name), he would die 16 months into office. Only a few months after President Polk who also refused to charter a Third Bank. All three would die of Typhoid, a popular means of assassination since the time of Alexander the Great. Then in response to the 1907 Panic a group of bankers met on Jekyll’s Island and drafted a new plan for the Third Bank of the United States. During Taylor’s short term in office the Whig’s were correct about one thing, they had to rename the bank before they could succeed. So in 1913 they established the bank and called it the Federal Reserve. The only thing they did not offer in the past was time. Time for people to forget about the first proposition and to accept it under the new name. So why did they keep Hamilton’s face on the $10 bill? In 1791 Alexander Hamilton had pushed forth the creation of the First Bank of the United States. A bank that had the majority of its funds in the hands of English bankers as did the Second Bank of the United States and the Federal Reserves today. For more information look for the sequel to Salem Secret Underground: The History of the Tunnels in the City called Subrosa by Christopher Jon Luke Dowgin published by Salem House Press coming out later this year. Also check out the Salem Smugglers’ Tour to find out more about this conspiracy and how people in Salem smuggled money into the banks through the tunnels in town.